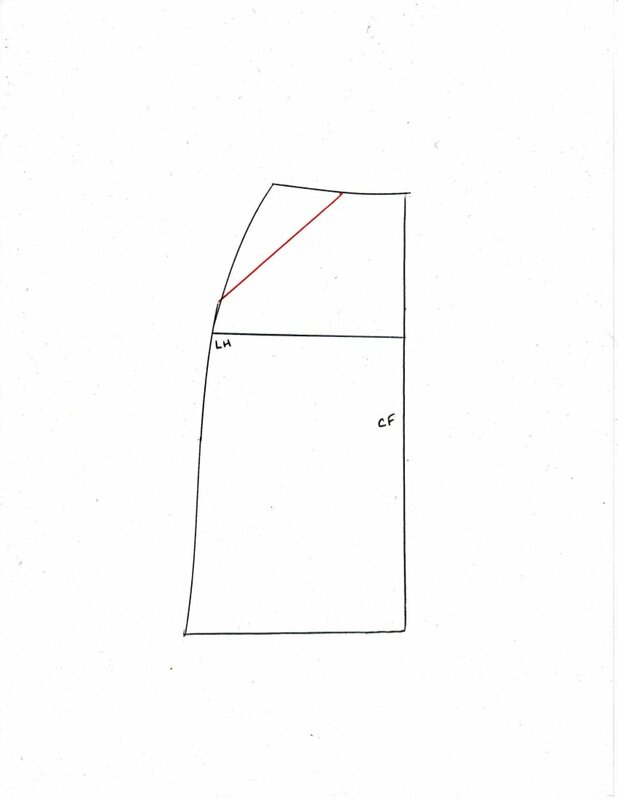 Here’s a tutorial for how to modify your skirt pattern to make a sailor style front closure. This isn’t a beginner tutorial, so I’m going to assume that you already are familiar with all the necessary construction techniques. 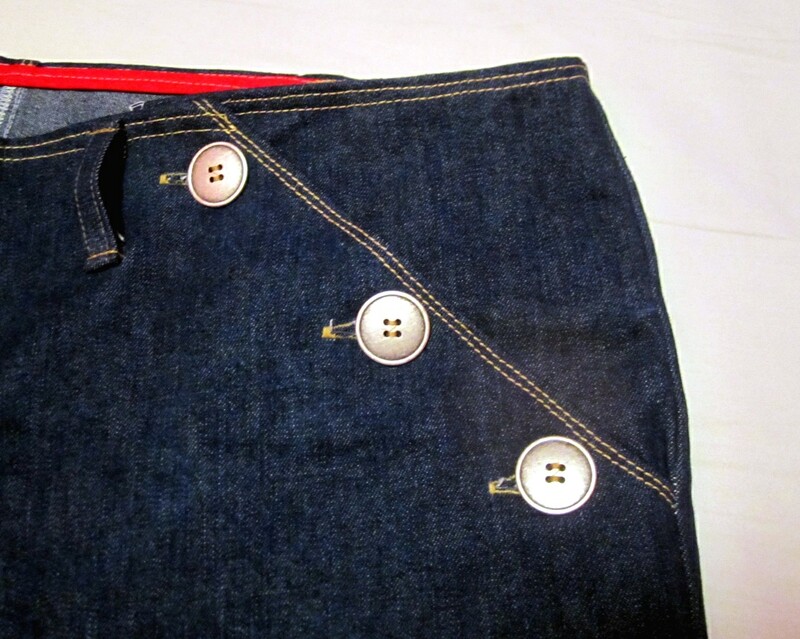 This sailor style closure will work on a number of skirt styles, and you can use this method to adapt a pant pattern as well. 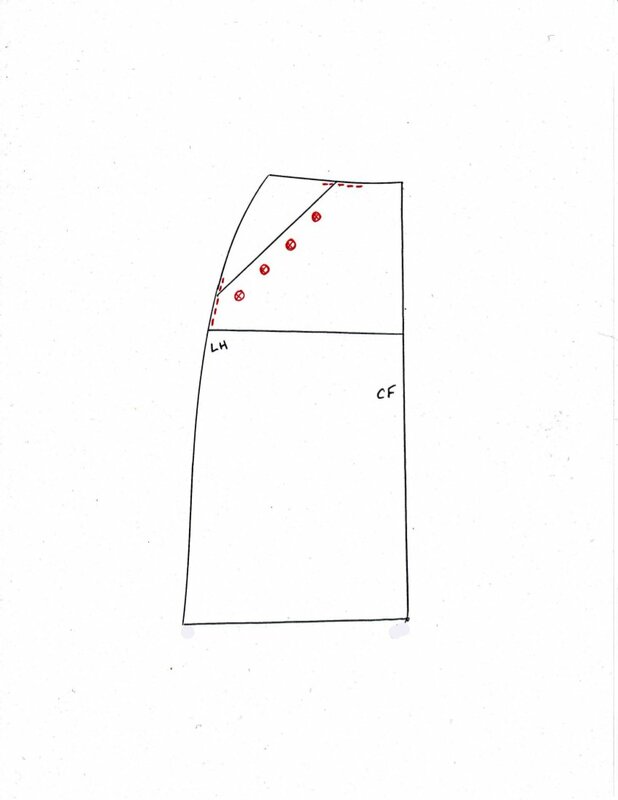 Draw a diagonal line that starts just above the low hip (LH) line, and ends at the waist, about halfway between the side seam and the centre front (CF). Cut along that line so that you have two front pieces. 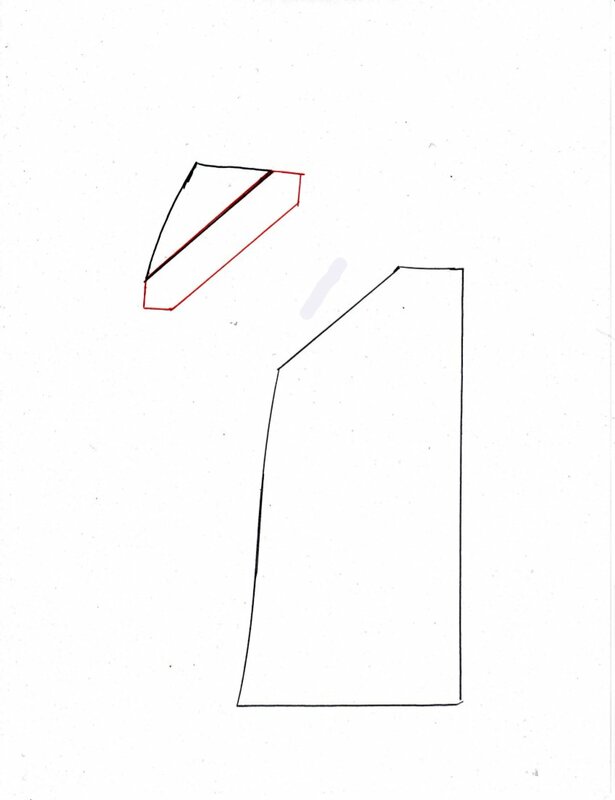 Extend the small piece out and down by about 3″, squaring off the pointy edges. 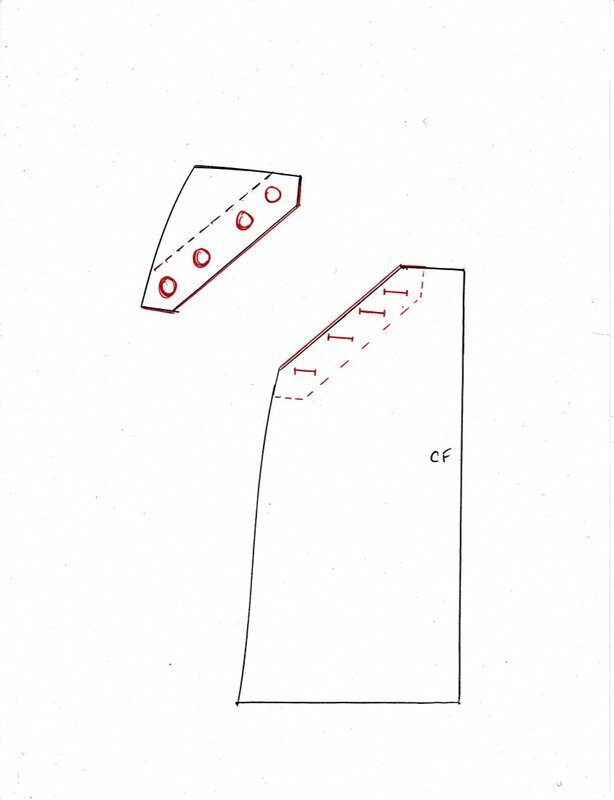 Take the amount that you extended it by, and create a facing piece that will face both the small piece and the main piece of the skirt. Attach the facing to the small piece and the main pattern piece, and don’t forget the fusible interfacing! 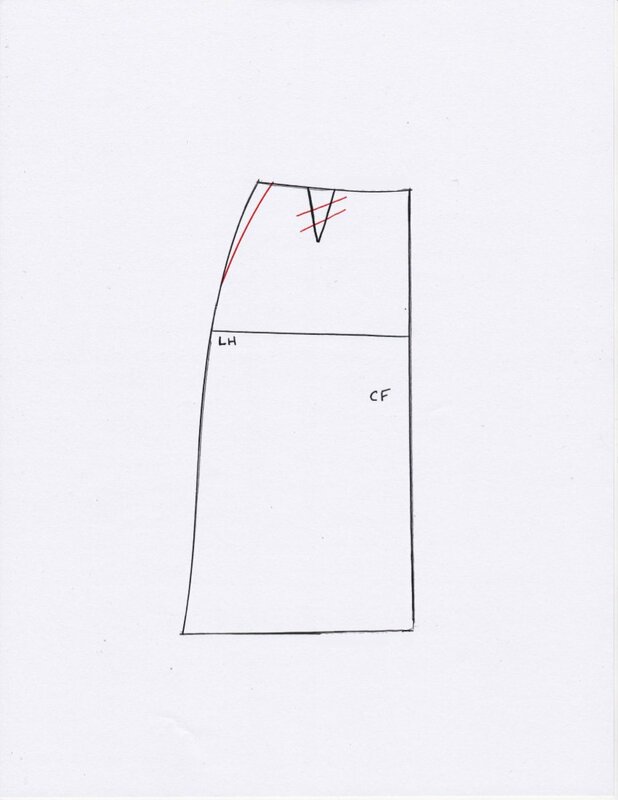 Mark where your buttons and buttonholes will be placed. Remember to leave some space at the top for your waist hem (I use 1/2″ binding tape to hem the waist on my sailor style garments, but you can use whatever method you like). Sew a basting stitch along the hip and the waist to attach the small pattern piece to the main pattern piece, and proceed with your regular skirt sewing steps! I like this closure and an easy to follow tutorial, thanks for sharing. That seems very doable, I might try it on a skirt soon.